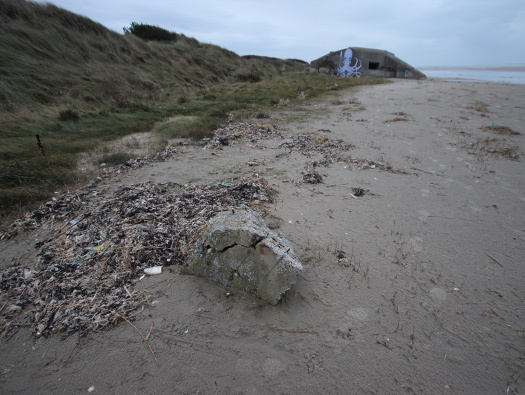 Wn03 Plage au sud , StP Dannes, Pas-De-Calais, KVA D1. 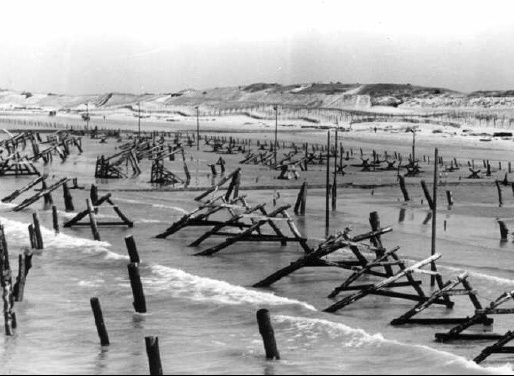 StP Dannes consisted of its own defence until it was decided to add extra Widerstandsnest's to upgrade its defence and this is one of them. 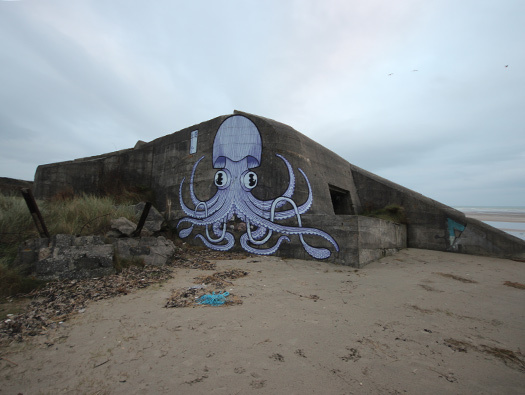 Wn03 Plage au sud. Hitler in better days looking at England from the cliffs at Calais. A plan of the added Widerstandsnest to beef up the defences probably after Rommel's famous visits in late 1943. 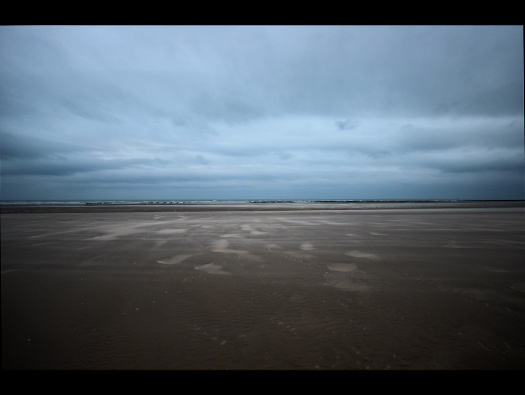 It was proved at Omaha Beach that the deffences were too far apart and needed more Wn's. Rommel visiting a batterie on the Atlantikwall. 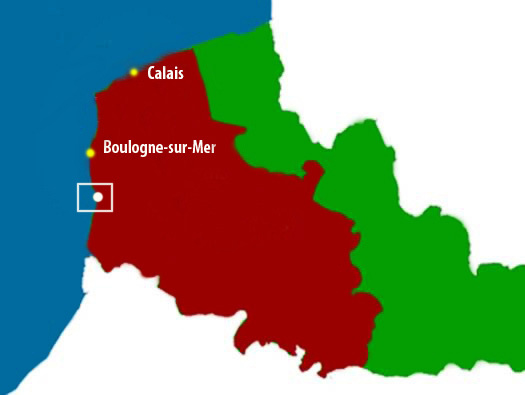 An actual German map of the area with StP Danes marked but before Wn03 Plage au sud had been added. 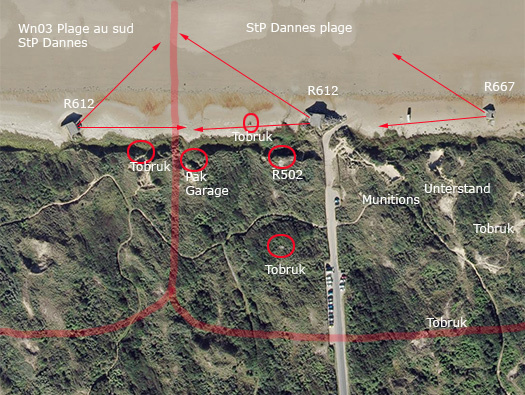 Showing the defences here and the designated areas that each gun was to defend. 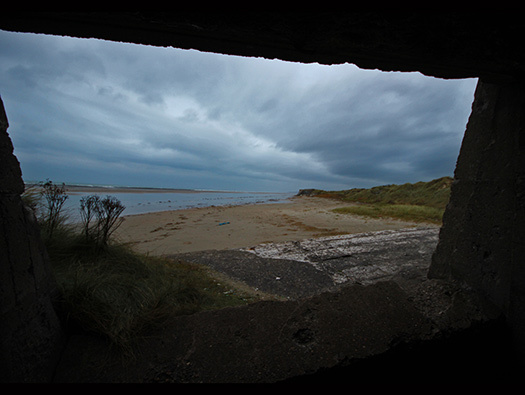 Looking from out at sea at the R612 casemate shooting left or North. Barbed wire on the beach. Quite a small embrasure to hold a 7.5cm Field Kannon, usually a captured horse drawn gun of often pre WW1. 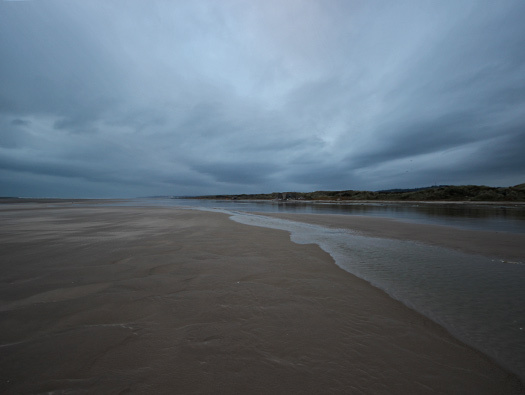 Sometimes the horses were retained and used by the crew to collect and deliver supplies and as at the Merville batterie in Normandy, the guns were removed and towed by their horses and crews all the way to the Scheldt Estuary in Belgian. It may have had wooden shutters on the front or just a large wooden board that could be removed in an emergency. But in use, stopped the howling wind that would have passed through it. 7.5cm F.K. with crew and horses. Shutters to close off the front embrasure. 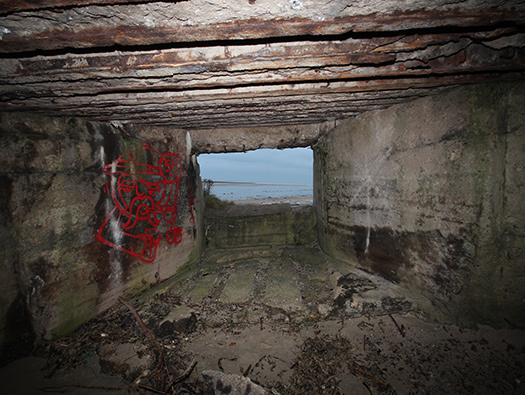 Added wooden shuttering to close off this casemate in Normandy. A work of art. 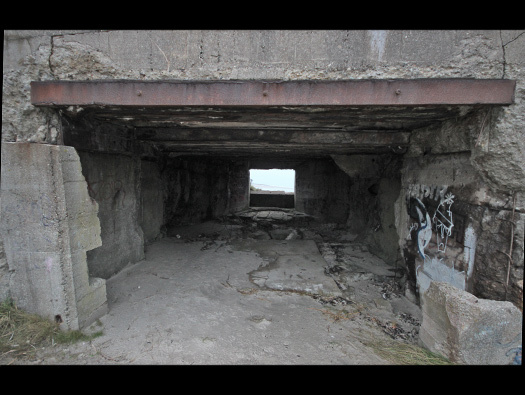 Note also the two lengths of railway line embedded in concrete that would have been used as stakes for barbed wire and also an anti-tank obstacle. The gun room. Here there was to be two heavy steel doors to close off the rear, but often they were not fitted. Either they were not needed or that they had not yet arrived to be fitted. Very seldom have I seen even the door frames fitted and never a steel door. 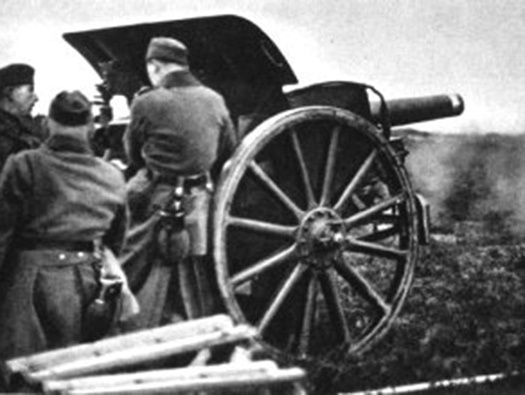 Although any metal parts fitted, may have been scrapped after the war. Gun room where a 7.5cm Field Kannon would have sat being polished and cleaned to the nth. degree by the crew and greased to keep all its working parts from going rusty. Ammunition would have been wiped down to keep it fresh and clean. 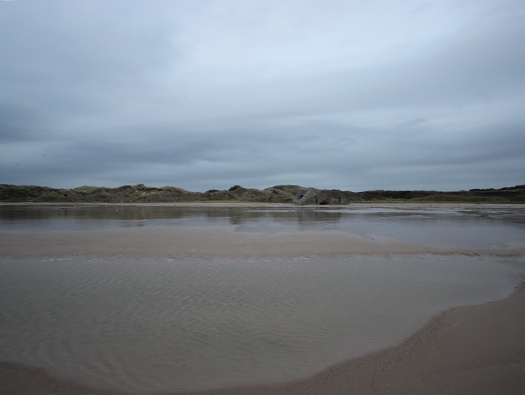 Quite a lot of work, also sweeping out sand that would constantly blow in from off the sand dunes. 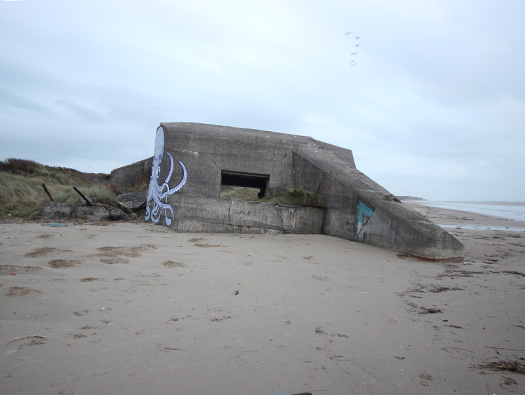 These bunkers were actually built in the sand dunes but due to sea erosion they are now on the beach. 7,5 cm FK 231 (f) the crew practicing. The 16 is probably the date of design 1916. This one still on its original wooden rims and steel tyres. A proud trooper with his horse. Cordite bags to place in the brass case. Aufbewarrent-Against shock and fall protect. 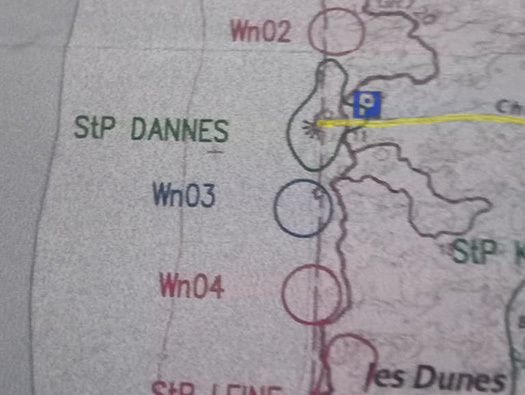 Direction of firing up the beach, northwards towards StP Dannes.